The final stage of planting with growing blocks are the Grodan slabs. 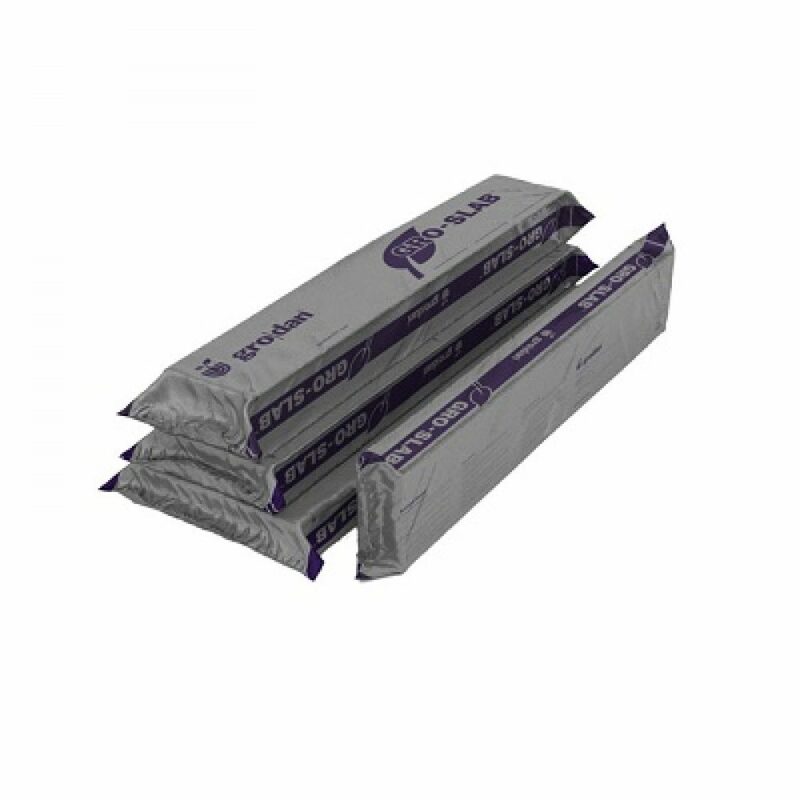 These slabs come in clearly marked UV resistant poly sleeves for ease of use. Recommended for larger, long term crops with extensive roots like peppers, tomatoes, or cucumbers. Typically, seedlings in blocks are placed onto slabs. Grodan Expert is the slab that drains the fastest because of its vertical fibers. By far the most popular slab for the hydroponic hobbyist market. Grodan Master is a special wet/dry slab. The top layer is thicker, which stays wetter, while the bottom layer stays drier. In effect it defies gravity, allowing more even distribution of moisture throughout the slab.